Quilts have been a huge hit as we head toward winter. What a perfect baby shower gift! Elephant set made over in aqua and grey color scheme. Perfect for summer! Newest grey elephant set! 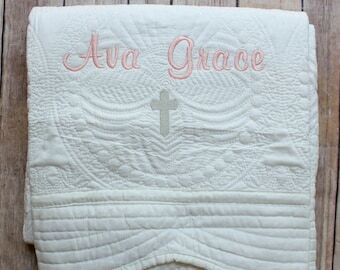 Adorable applique initial bib and monogrammed burp cloth.